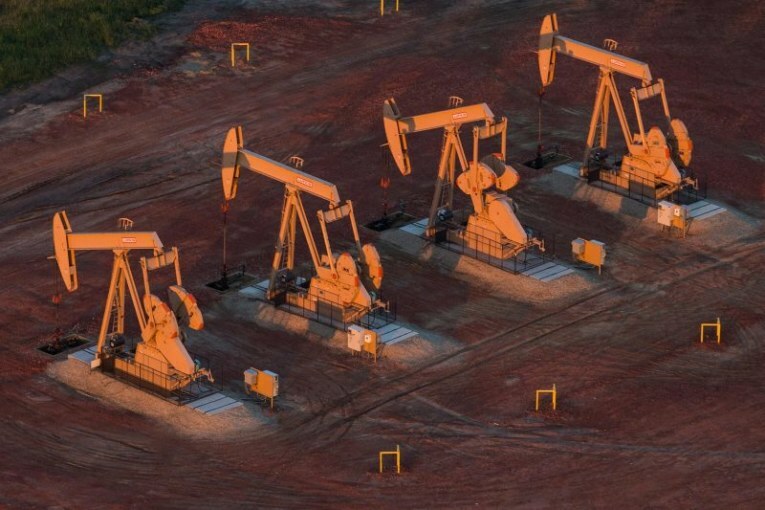 May 18 (Reuters) – The U.S. oil rig count held steady this week after rising for six weeks in a row even as crude prices soar to multi-year highs, prompting drillers to extract record amounts of oil, especially from shale. The total oil rig count held at 844 in the week to May 18, General Electric Co’s Baker Hughes energy services firm said in its closely followed report on Friday. The U.S. rig count, an early indicator of future output, is much higher than a year ago when 720 rigs were active as energy companies have been ramping up production in tandem with OPEC’s efforts to cut global output in a bid to take advantage of rising prices. U.S. crude futures traded over $72 a barrel this week on concerns that Iranian exports could fall because of renewed U.S. sanctions, their highest since November 2014. Looking ahead, crude futures were trading around $70 for the balance of 2018 and $66 for calendar 2019. Shale production is expected rise to a record high 7.2 million barrels per day (bpd) in June, with the majority of the increase from the Permian basin, the biggest U.S. oil patch, where output is forecast to climb to a fresh high of 3.3 million bpd, the Energy Information Administration (EIA) this week projected. Earlier this month, the EIA forecast average annual U.S. production would rise to a record high 10.7 million bpd in 2018 and 11.9 million bpd in 2019 from 9.4 million bpd in 2017. Analysts at Simmons & Co, energy specialists at U.S. investment bank Piper Jaffray, this week forecast average total oil and natural gas rig count would rise to 1,020 in 2018 and 1,125 in 2019. That is a bit lower than the firm’s projections last week of 1,020 in 2018 and 1,135 in 2019. So far this year, the total number of oil and gas rigs active in the United States has averaged 987, up sharply from 2017’s average of 876. That keeps the rig count on track to be the highest since 2014, which averaged 1,862 rigs. Most rigs produce both oil and gas.